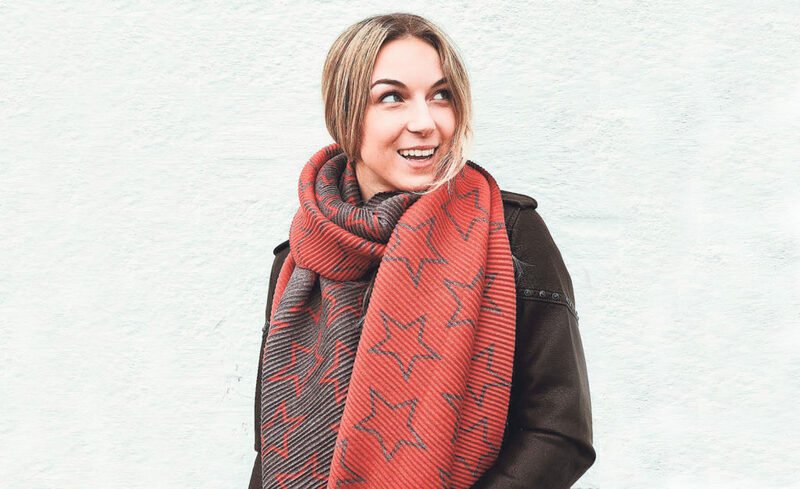 The accordion star scarf ($65) from Entrée Boutique brightens up any dark winter look and is perfect to be given as a gift. More colors are available in store. 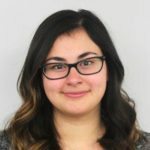 The holiday season is filled with parties and gift giving, so it’s the perfect time to pick up new clothing for special occasions or to give as gifts. 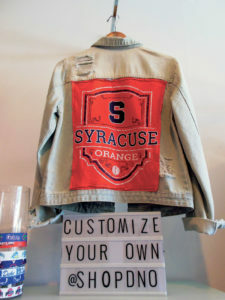 Local Port boutiques and stores offer residents the chance to either rent a cocktail dress for an office holiday party or buy the college student in your life a customized jean jacket with their school’s name on it. Tassel Studded Wristlet This hobo leather wristlet with studs and tassel details completes any look or serves as a great gift for $107. More colors available in store. 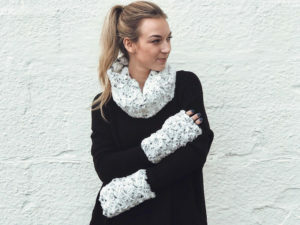 Fingerless Gloves Pandemonium faux fur fingerless gloves are great to pair with the matching neck-warmer for $35. More colors available in store. 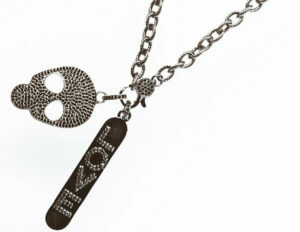 Skull Love Necklace–Throw on this black crystal skull and love chain necklace for $130 to complete your winter look. 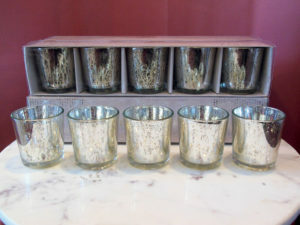 More styles available in store. For winter wear or holiday gifts, head down to Entrée Boutique where you can be dressed from head to toe in cozy winter attire from scares to fingerless gloves, which give warmth and allow one to still utilize their phone. 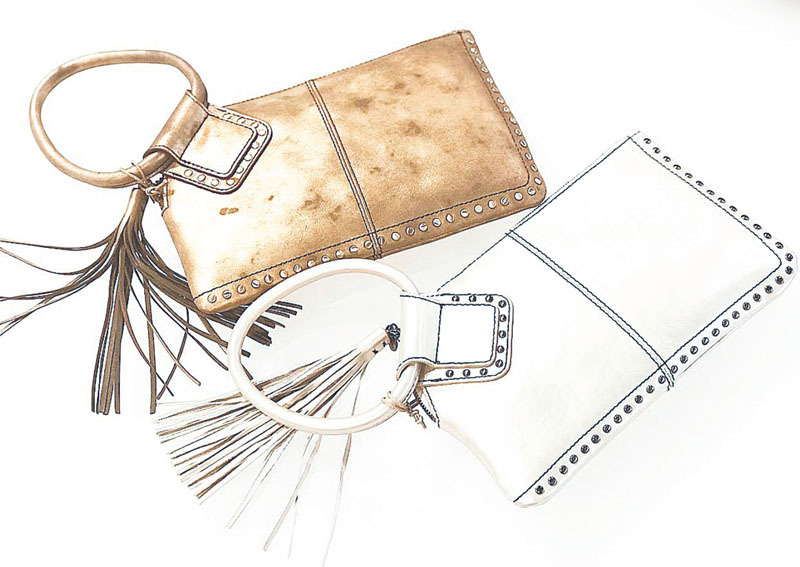 Grab a sweater, cardigan or maybe a tassel studded wristlet for the fashionista in your life. Entrée Boutique also offers gift items like small perfumes, jewelry, lotions and winter hats. 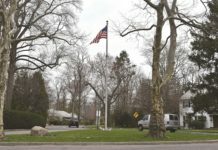 Entrée Boutique is located at 9-11 Main St, Port Washington. Little Black Dress–Add lace for an instant festive look to wear to any holiday party. This dress by Dress the Population retails for $210, but can be rented for the month with Endless by Charlotte’s Closet for just $49. Sequins, sequins–sparkle all night long on New Year’s Eve with a sequin romper and velvet blazer. Look by BB Dakota retails for $250, but you can borrow and wear it so many different ways for just $69.95 with Endless. Classic Red For a more formal event, turn heads in this Nicole Miller gown that retails for $400. It can be borrowed for just $110. Charlotte’s Closet is located at 14 Vanderventer Ave. Suite L5, Port Washington or visit www.charlottes-closet.com. 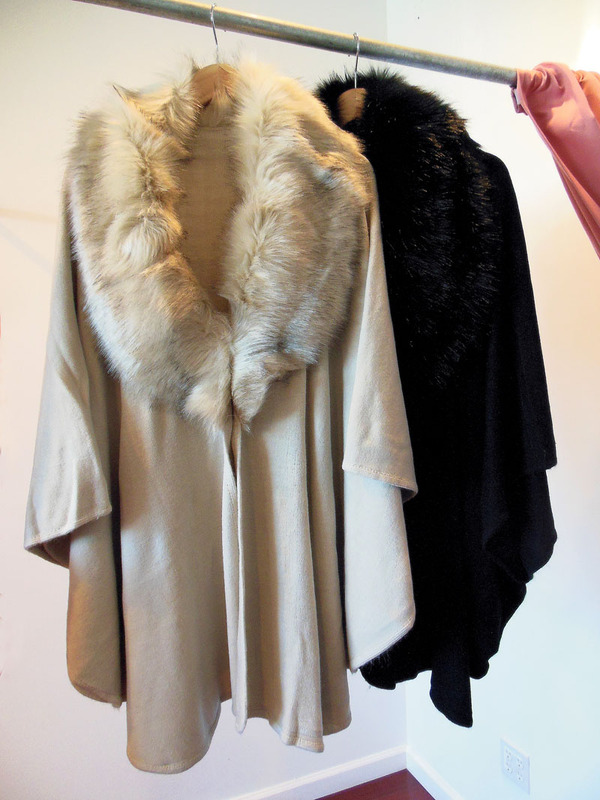 A fur-collared cape is fashionable and warm. Gift the college student in your life customized tees, jackets or sweatshirts that range in price. 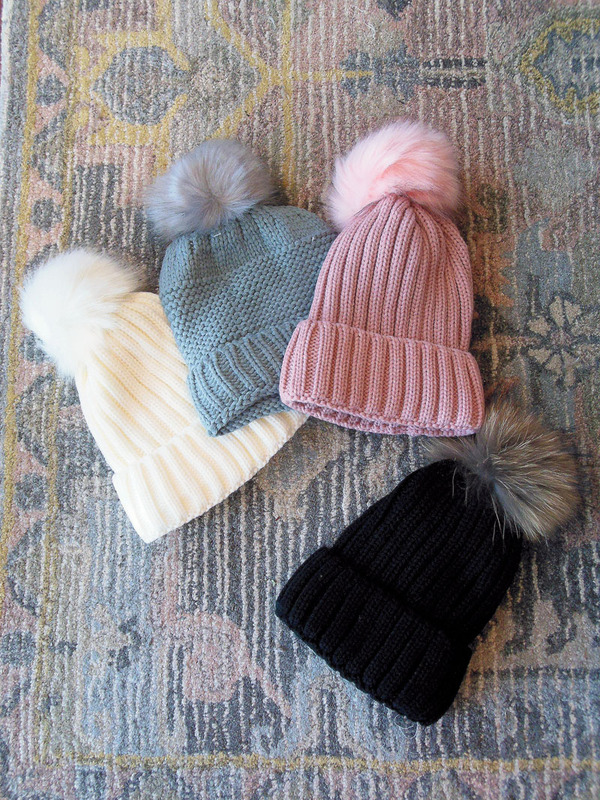 Stay warm with soft winter caps topped with fluffy pompoms. Date Night Outfit (DNO) is the perfect stop for clothing gifts, offering customizable clothing perfect for college students who want their school’s name on a jean jacket, cozy sweaters and more. Most gifts found at DNO are less than $100. If you want to give more than just clothes, DNO offers small holiday gifts as well, including salt crystal candles that promote relaxation for $20, selfie cases for $25 and handmade travel bags for $30. 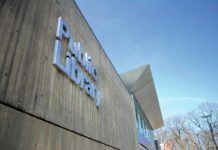 Date Night Outfit is located at 475 Port Washington Blvd., Port Washington.